Alex started working in theater lighting and design at the early age of 12. Out of high school he worked for a custom in-car entertainment company. He worked 6 years in home theater and custom home automation all over Southern California. He moved to San Diego in 2011 and adapted his skills to fit the bar/restaurant, club/live music venue scene. 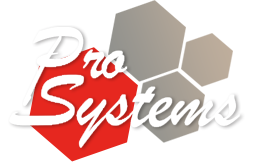 He joined Pro Systems in 2012 as Installation Manager. His responsibilities include design engineering and managing all aspects of an AV build from start to finish. He is great at providing clients with solutions to make their audio/visual visions a reality.